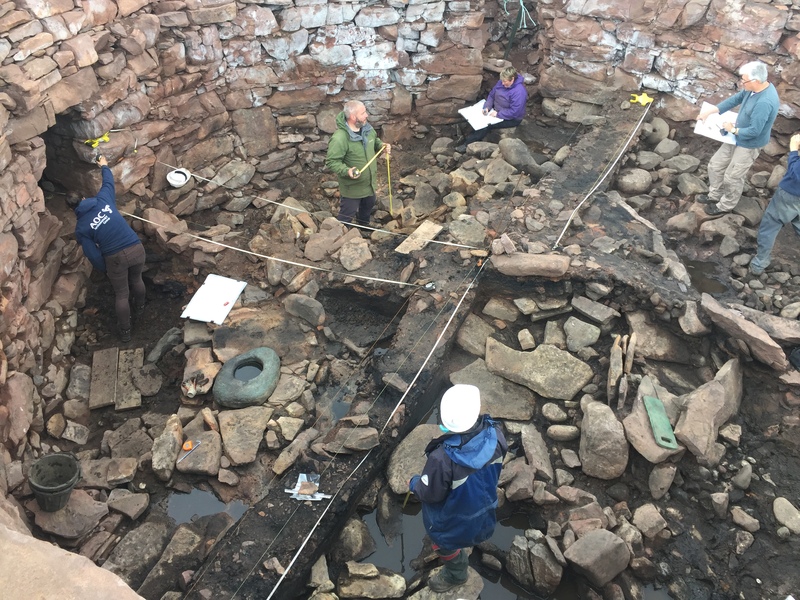 Three months ago, I was asked to write a piece on the Clachtoll excavation (see the post here), and when I was asked to do a follow up, I thought it would be best to have a look back and see where to start from. That was a revelation. When I penned the last piece, we were a month in, enjoying every minute and let’s be brutally honest – not finding too many artefacts. As time went on, we dug deeper, the finds became more frequent – much more frequent and in amongst it all, a mini dig on top of the Split Rock and the creation of a corbelled cell (soon, we hope, to be otter holt) made for a fantastic summer. So much to share, so few words – so let’s not waste any more. 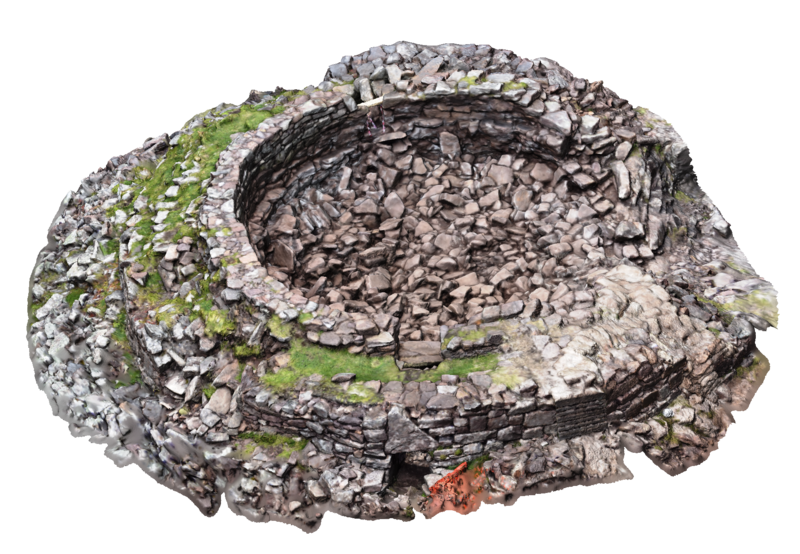 View of 3d model of the broch towards the end of excavation, Sep 2017. I suggested that the occupants may have had sheep or goats in my last blog report – we can confirm those sheep, from some of the bones found. Curiously, if a good few years later, Ptolemy’s map of Scotland listed the people of the North West as Caereni – or “sheep people”. I can only wonder if it was those same Caereni who built the Broch? There were also cattle, pig, deer, whale, seal and possibly boar bones recovered on the site. I am pleased however, to report that to the best of my knowledge, no human bones came from the site, so we can hope our Caereni survived the collapse. 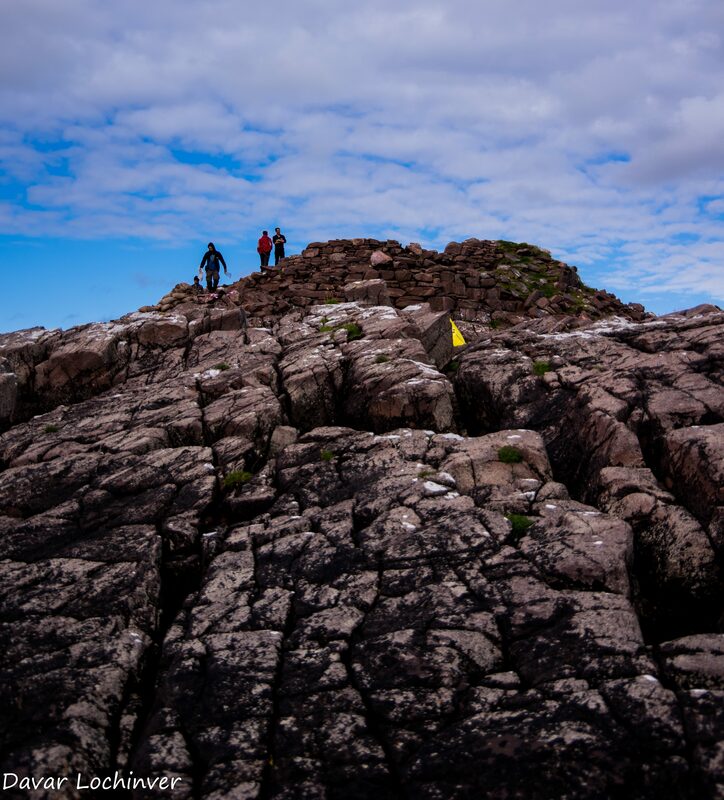 Clachtoll has turned out to be something amazing. Although several hundred brochs were built around Scotland, most it seems, fell gradually out of use before being abandoned. Finding another that collapsed dramatically in the iron age is a bit like searching for hens’ teeth. 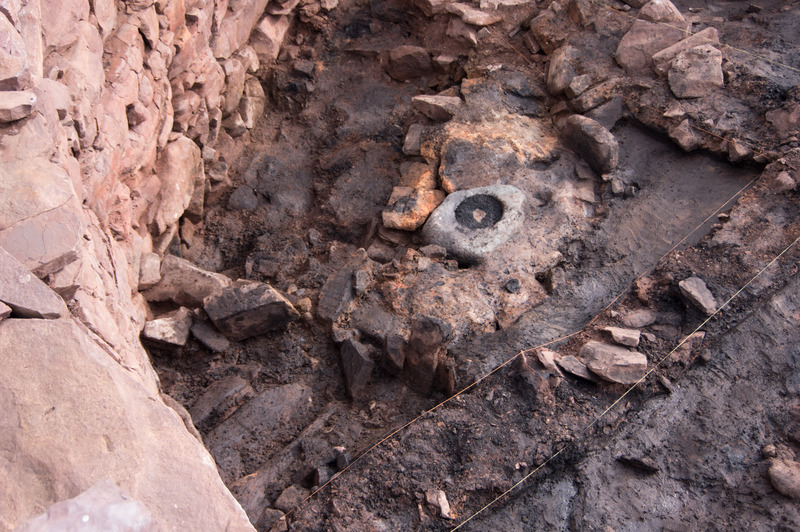 What we uncovered this summer was a two thousand year old time capsule. One has to wonder if one of the thousand plus visitors to the site was H.G. Wells time traveller looking for an update? 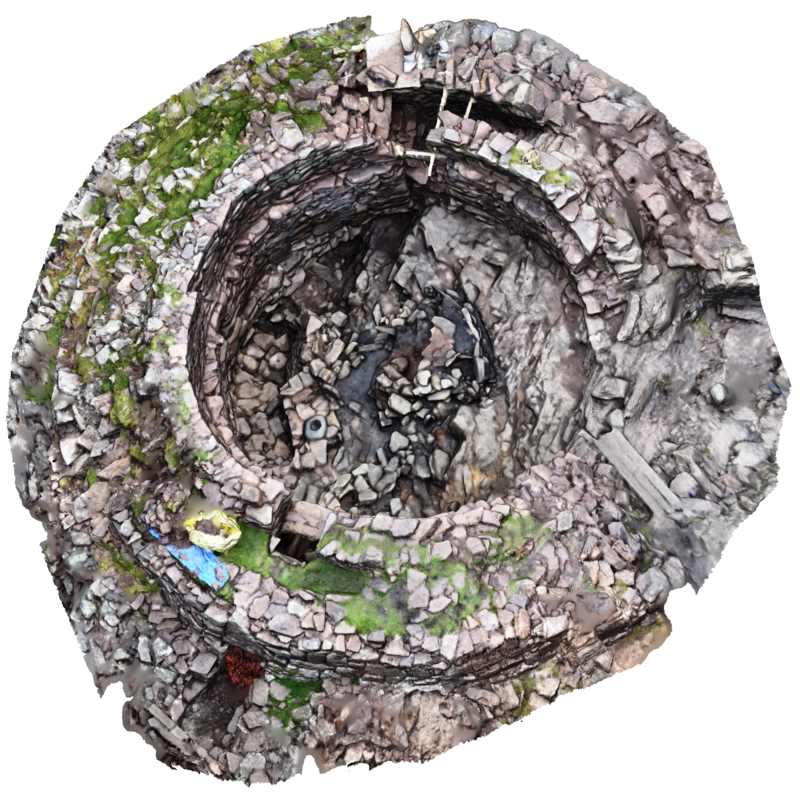 This entry was posted in Excavations, Iron Age, Sutherland and tagged AOC Archaeology, Assynt archaeology, bone comb, broch, broch 3d model, broch collapse, broch conservation, broch hearths, broch height, broch staircase, broch water tank, clachtoll, guard cell, historic assynt, intramural cell, intramural gallery, iron age archaeology, Iron Age Pottery, john barber brochs, loom weight, pumice stones, radiocarbon dates, ring headed pin, scarcement ledge, souterrain, spindle whorl, stone lamp on December 5, 2017 by nosas.